Assassin's Creed II was released for the Xbox 360 and PS3 today and if you pick up a copy, you'll be able to participate in the beta for Uplay. What the hell's Uplay, though? Uplay Share will soon give you the ultimate realm to view and post your own content, keep track of your friends, and taunt your foes. 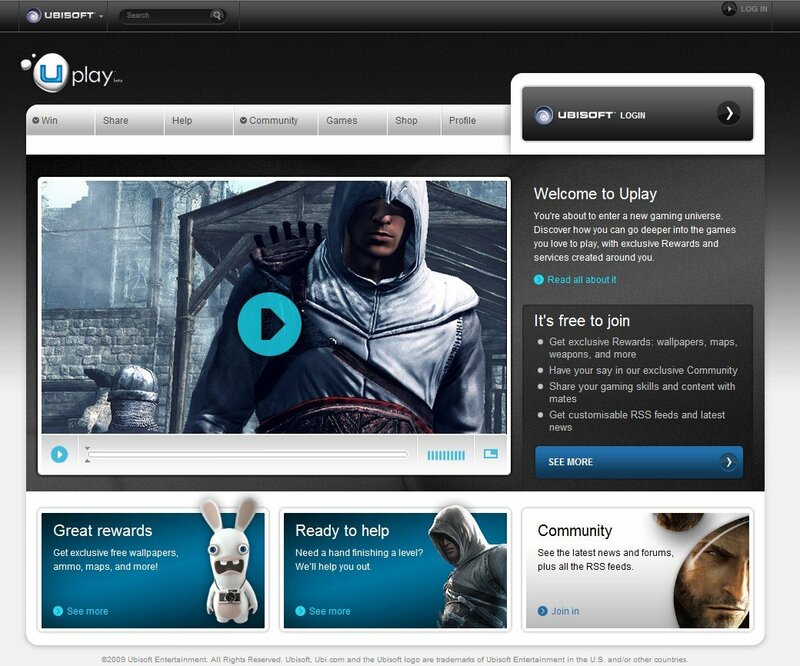 Uplay Help gives you guidance, tips and tutorials to conquer your games. And soon it will offer in-game video for help as you play. Uplay Shop will be the shop you've been waiting for. It'll bring together all Ubisoft downloadable content and pair it with exclusive offers that you won't find anywhere else. 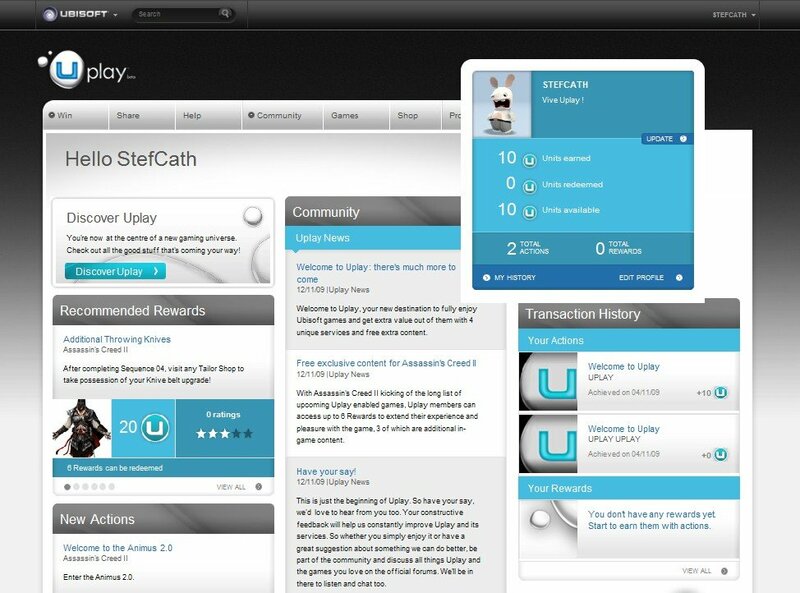 Uplay Win enables players to collect units based on their actions in the games and exchange them for rewards such as exclusive in-game content or digital items. 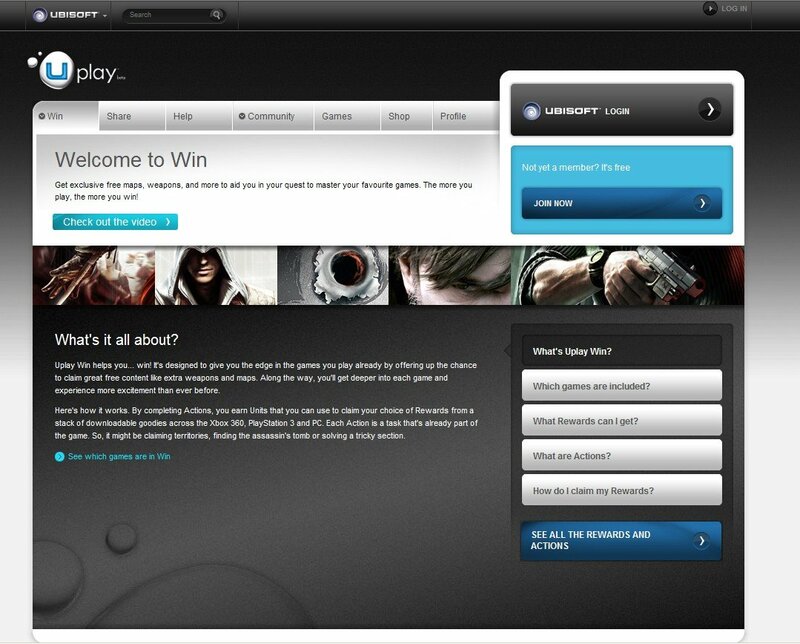 Uplay Win Units can also be gathered cross-platform and are currently available for PlayStation 3 system, Xbox 360 and PC. The Uplay Win Units you earn by playing AC2 can be used to purchase an Altair costume and access to the Auditore Family Crypt, among other things. You can also just save up your Units and use them to purchase content for future Ubisoft games. Uplay Shop, Help, and Share can all be accessed through Uplay.com.